For those who have larger grills this will be much easier. You can set your burners on one side for very hot for searing, and on the other side you can set them a little cooler for a slower more even temperature. Not everyone likes their steaks the same and not everyone will ask for the same temperature at the same time, so being able to cook at different temperatures at different intervals is a must. 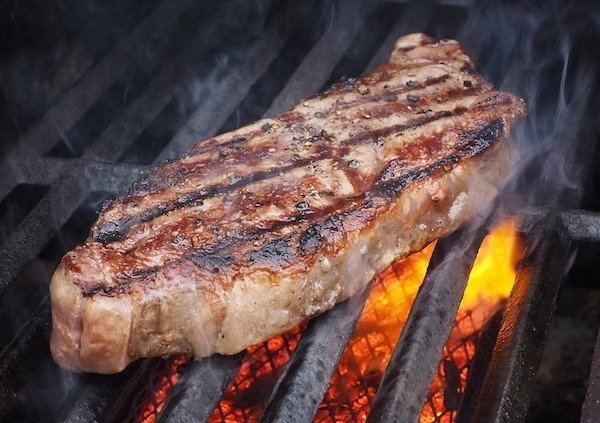 For those with smaller grills start by putting on the steaks that will be cooked more and then adding the less cooked orders at the end if you want them all to be finished at the same time.